BILOXI, MISS. October 30, 2014 – Members of the American Shrimp Processors Association (ASPA), who account for the vast majority of domestic, U.S. production of warm-water shrimp from Gulf and South Atlantic waters, are concerned with the findings of the Oceana report released today regarding misrepresentation of shrimp in grocery stores and restaurants across the U.S. In fact, members of ASPA provided the traceable shrimp for the “Every Shrimp Has a Tale” promotion on the Mississippi Gulf Coast last year, which is referenced in the Oceana report (pp. 37-38). “‘The campaign that happened right after we left (fall 2013, when the sampling was done), Every Shrimp has a Tale, was very successful in highlighting traceable shrimp, responsibly caught,’ said Kimberly Warner, a senior scientist at Oceana. (That promotion that has since ended.) ‘I think a lot of businesses enjoyed the promotion and probably got a really good price for promoting something that was honestly a Gulf product. While most packaged goods must indicate the country of origin, Veal points out that misrepresentation can occur at many levels and may not be related to a producer or processor. Jonathan McLendon, Vice President of ASPA and President of Wild American Shrimp, Inc., says both organizations monitor advertising and promotion of shrimp products all over the country because it is in the members’ best interest for product to be labeled appropriately to maintain the integrity and value of their premium product. 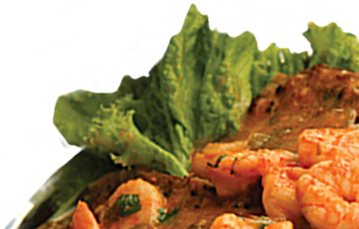 “We have run into instances where a retailer was implying ‘Louisiana Style’ or ‘Gulf Style’ shrimp, when the product was actually an imported product. In a brochure produced by Oceana which accompanied their report, there is a retail label using the words ‘Gulf Shrimp, Previously Frozen, Farm Raised, Product of Thailand,’ all in reference to the same product,” says McLendon. ASPA has for several years been implementing many of the recommendations now found in the Oceana report and looks forward to our members continuing to be a part of the movement for an even more widespread and robust effort to ensure better labeling and/or traceability of warm-water shrimp products, both domestic and foreign. ASPA has long endorsed Country of Origin Labeling (COOL) at all sales points along with more stringent safety inspections of imported products.